The City of Los Angeles hired Ahmed Hnesh to help put together a compelling bid to the International Olympic Committee (IOC) for the 2024 Olympic and Paralympic Games, while navigating diverse stakeholders and interests, minimizing risk, and balancing the city’s priorities. Hnesh helped the city to develop a competitive, low-risk bid that brought an internationally coveted mega-event to the City of Los Angeles. Here’s how the project evolved. After a competitive process to host the Olympic and Paralympic games, Los Angeles has won an unprecedented opportunity to host the 2028 edition. What it took to get to this milestone — just as with any complex, large-scale project — has been a work in progress for years. Winning an Olympic bid can often be a mixed blessing for a city. There are undeniable benefits associated with hosting the world-renowned event: the international spotlight; an influx of billions of dollars from tourism, ticket sales and sponsorships; and typically an opportunity to rebuild infrastructure. But all this also requires an enormous financial and logistical commitment, and could come at a steep cost without a strong understanding and vision of how to manage the financial risk. Given this context, how does a city coordinate and forge consensus among hundreds of planners, financiers, facilities, and community members to put together a compelling bid to the IOC, all the while balancing the city’s priorities around managing risk and ensuring that no taxpayer dollars are spent? That was the challenge ahead for FUSE fellow Ahmed Hnesh in 2015. 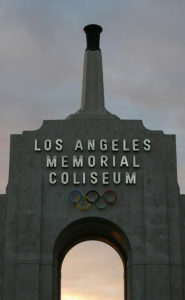 Then-City Administrative Officer Miguel Santana hired Hnesh to act as the city’s liaison to the Los Angeles 2024 Committee, working with public, private, philanthropic, and nonprofit partners to help develop a financially responsible and competitive plan to bring the Olympics to Los Angeles. Los Angeles knew what it was signing up for when throwing its hat in the ring alongside Paris, Rome, Hamburg, and Budapest. 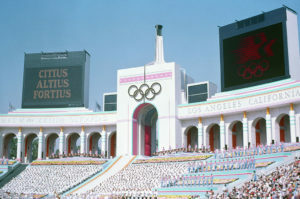 By any measure, the 1984 Los Angeles Summer Games were a resounding success, having established a new model for controlling costs and maximizing revenues through corporate sponsorships. 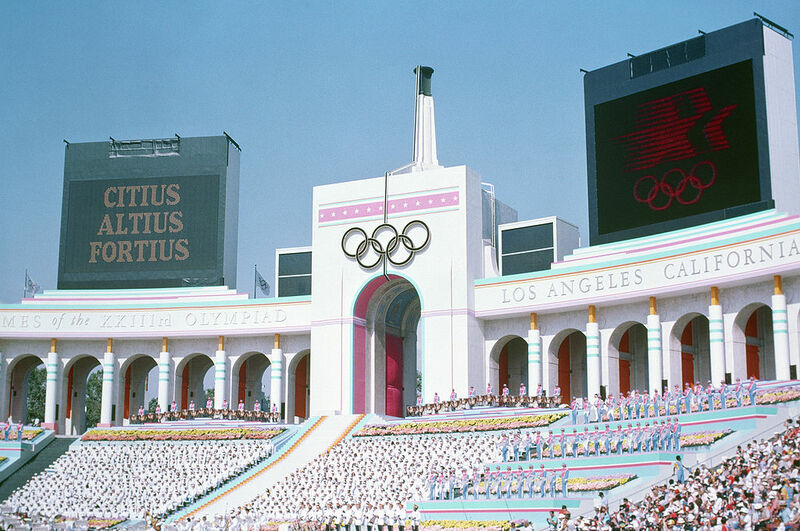 By 2024, the 40-year anniversary of those games, Los Angeles wanted to bring the same kinds of innovation and creative problem-solving to make the Olympics as groundbreaking in approach and results. In order to pull this off, Hnesh knew that, although the project was closely related to the Olympics, it would need to involve a deep understanding of broader infrastructure and capital projects. During Hnesh’s fellowship, which was extended to nearly two years, he worked across a wide spectrum of departments and projects to get to the finish line. Hnesh was key to the city’s oversight and risk management efforts, regularly producing reports as the city’s communications to the City Council on a range of topics, from the selection of the Olympic Village to the different plans to mitigate risk. He also helped negotiate memoranda of understanding that outlined the kinds of protections the city would put in place if it did win the bid, and the ongoing oversight throughout the process. Knowing that billions of dollars were potentially at stake, Hnesh led a procurement process that brought in KPMG, an independent third party, to review the budget in order to objectively show that the proposed budget presented a reasonable estimation of the cost and revenues associated with hosting the Games. Hiring KMPG turned out to be an important strategic decision that helped validate the low-risk nature of the bid and its proposed budget to the IOC, members of City Council, and the general public. That meant hard decisions had to be made, like where to locate the Olympic Village. The original pitch to use a location along the Los Angeles River called “Piggyback Yard” would have cost upwards of $975 million. Even though it would have been paid for through private-sector funds, the price tag was out of the city’s comfort zone given that city would have to provide a related financial guarantee. So the team launched a search for alternative sites and ultimately selected the modern residences and world-class facilities at UCLA as the village site, a move that significantly reduced the overall financial risk to the city. With more than a decade of experience managing complex stakeholder environments and leading large-scale projects like strategic planning and financial management initiatives at companies like Deloitte, Hnesh brought this knowledge to bear. Another crucial piece of the puzzle was hitting deadlines that the IOC had established. Hnesh leveraged a post-merger integration idea called “Day Zero,” or deadline day, and working backwards from there, communicated what steps needed to take place in order to hit that deadline without any issue. That included layering in the city’s own processes and deadlines, and making sure that the right resources were assigned to each of the activities. Now, with the Summer of 2028 as the new “Day Zero,” Los Angeles is well prepared to take on any challenge that comes its way for the Olympics.